With the hubub over the MH17 shootdown, and the Hamas-Israeli War in the Gaza strip, we tend to forget that there’s quite an actual campaign going on in Ukraine. For the time being, it appears Ukraine has accepted the loss of Crimea to Russia as something of a fait accompli. But the pro-Russian separatists trying to cleave “independent republics” from eastern Ukraine, while initially quite successful, have lost the initiative, and have been losing ground steadily for two months or so. CDR Salamander takes a look at the situation. Put your JPME to good work there shipmate. Look at what has happened in the last two months. 1. Ukraine secured its maritime territory. 2. Ukraine managed to re-establish control over most of its borders – though in a thin salient in some places. Not firm control as we know traffic is getting through, but at least partial control to the point they are willing to claim it. 3. They are pushing to widen the salient in the south while increasing its SE bulge, pushing north along the Russian border. 4. From the north, they are pushing south along the Russian border. 5. Yes kiddies, we have a classic pincer movement to envelope a pocket of the enemy, nee – a double envelopment at that. As a matter of fact, a secondary double envelopment is about to take place in that middle thumb centered on Lysychansk – or at least there is an opportunity for one. He’s certainly right that the thumb at Lysychansk looks ripe for the picking. Unfortunately, there doesn’t really appear to be a decent road network for Ukraine to use to execute a pincer movement. There’s some in the area, but ideally you’d want a good east-west road across the base of the thumb to exploit, but there doesn’t appear to be one. Further, on the southern side, the Ukraine forces are likely to push north, rather than east, to gain room to maneuver, rather than attempt a deeper flanking movement. That long salient exposed to the Russian border would make any general think twice. What impact the shootdown of MH17 will have going forward, I don’t know. But it’s hard to see it inspiring greater support for the separatists. If you look at the names on the map, this is an area that has known more time of war than of peace through the ages. But we need to remember this warfare today is certainly not on the scale of World War II with masses of millions clashing cataclysmically. This is actually fairly small scale warfare, with troops often numbering in the hundreds, not hundreds of thousands. Various open sources place the total current Russian troop deployment at around 40,000. We know that Edward Snowden is working with the Russian government (remember the good old days when we’d shoot traitors?) and because of this the Russians probably have a better idea of how to evade US satellites (and shall we say “other” intelligence assests) that are currently monitoring the Russian military. I think a safe bet would be to add at least 30% to the open-source number. Lithuania, a tiny Baltic nation bordering Russia, and long under the thumb of the Soviet Union, has been wary of its large neighbor to the east. The small nation can hardly provide for its own air defense needs. Accordingly, NATO nations rotate the duty of providing additional air defense assets to Lithuania. Currently, the US Air Force is a part of that rotation. And given the events in Crimea and Ukraine, the US is anxious to remind Russia that its territorial ambitions have limits. That’s why The Aviationist can bring us some video of US F-15Cs practicing a scramble. Similarly, the US has deployed F-16s to Poland and to Romania as well. 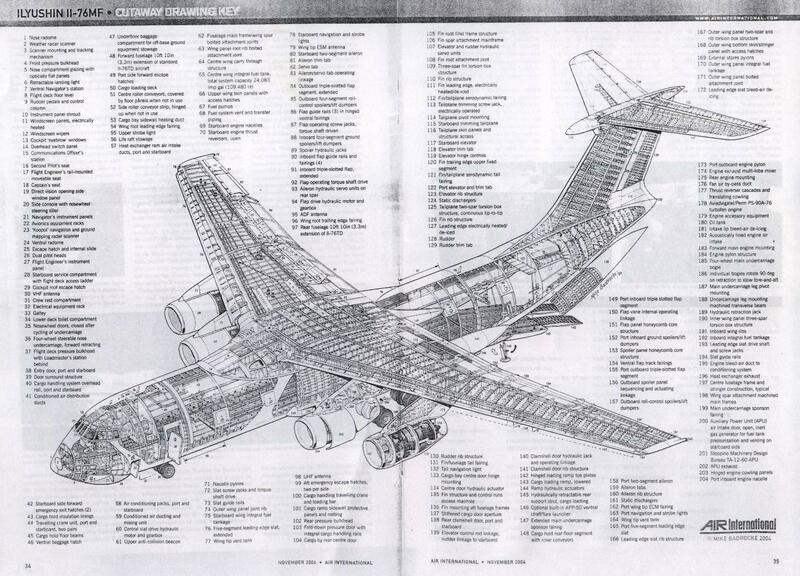 Author XBradTC2Posted on March 27, 2014 Categories planesTags crimea, IL-76, Russian Air Force, ukraine1 Comment on Cutaway Thursday: IL-76MF "Candid"
Interesting. I see all the radar masts, vans, and TELs, but no rounds. Wonder how they’re being transported? Russia so far has tried very hard to make its incursion into Crimea as non-violent as possible. That’s a pretty smart move. The Russians certainly aren’t universally loved there, but it is a far smarter approach than making an explicitly punitive expedition. As it is, Putin has presented to the West a fait acompli in Crimea. We can bluster all we want, but the US, the EU, and NATO aren’t going to go to war over the Crimea. For that matter, the heart of the EU isn’t even going to try economic sanctions over the matter. So, does Russia simply hold what it has, and have a “referendum” in a month or two, or does it expand its reach. Galrahn notes that as a practical matter, Russia can seize a line from Odessa to Kharkov with little or no effective resistance. That’s territory Russia would rather have effective control over than actually physically occupy. Will Russia sit tight? Will they seize eastern Ukraine, and then negotiate from there? What say you?